Thomas Hardy (1840-1928) wanted his last novel 'to deal unaffectedly with the fret and fever, derision and disaster, that may press in the wake of the strongest passion known to humanity, and to point, without a mincing of words, the tragedy of unfulfilled aims'. First published in its present form in 1895 (although post-dated 1896) after appearing as an abridged serial, the work was met with as much opprobrium as admiration. 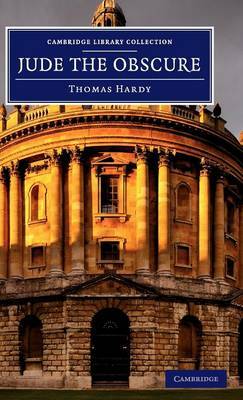 Critics wrote reviews entitled 'Jude the Obscene' and 'Hardy the Degenerate' because of the novel's explicit content and deliberate attacks on the education system and marriage laws; even Hardy's wife took personal offence. Sparse and bleak, the story follows Jude Fawley, a promising self-taught scholar and village stonemason, as he navigates with increasing difficulty between the prejudices of the class system and two very different women: his wife, Arabella, and his ethereal, disturbed love, Sue Bridehead.